So, let me get this straight: According to the New York Times, gentrification is going to save Oakland? That’s funny, almost, because that’s not the conversation Oaklanders are having about the Town they live in. 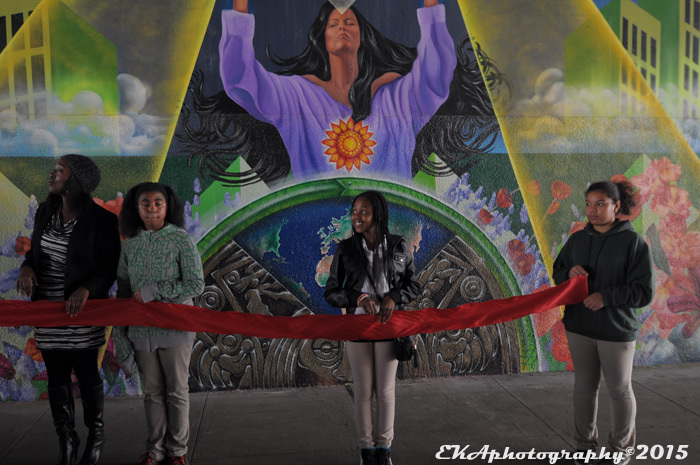 To recap: On October 3, journalism’s Grey Lady showed her true colors in an article ostensibly about the tragic murder of muralist Antonio Ramos, slain by a random act of violence while ironically working on a mural designed to heal trauma and beautify the hood. 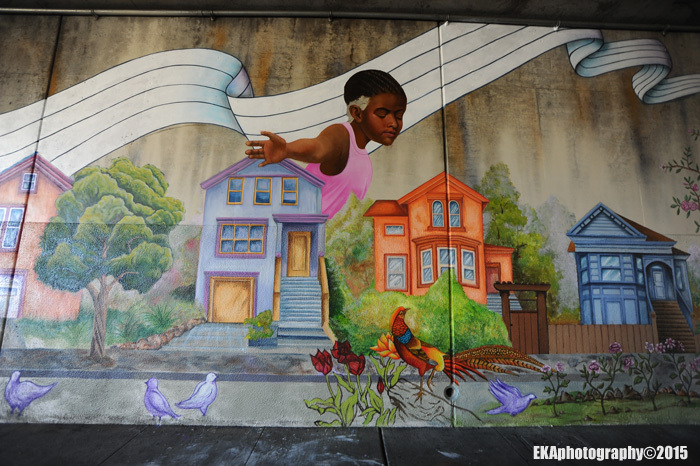 When we say ‘hood, we’re talking about freeway underpasses in West Oakland, which are typically not the parts of town you would show off to Marin socialites and international jet-setters. Yet in the Times’ view, the killing of a muralist was a blip on a forward march of foodie guidebook ratings, North Bay one-percenters mingling with pierced and tatted urchins during First Friday, and tech invaders annexing downtown, signaling Oakland’s arrival as – what, exactly? The Times didn’t specify. The Times article went on to quote OPD Chief of Police Sean Whent as saying, “people are worried about gentrification because, I think, it does enhance conflict.” Yet, maybe because that point conflicted with the article’s insistence that gentrification is a desired and entirely serendipitous outcome for all, the writer just sort of let that comment hang. She went on to quote Mayor Schaaf, who seemed apologetic that she had to deal with the reality that good people like Ramos are sometimes murdered over nothing. “That’s the life of an Oakland mayor,” she said. Neither Schaaf nor the Times seemed to be able to grasp the essential dichotomy, that the mural Ramos was working on before he died was not about gentrifying Oakland for newcomers able to afford skyrocketing rents, but about beautifying an area whose primary demographic is black and poor, a woebegone, dark, and foreboding passageway which, prior to the mural, was primarily characterized by homeless people, birdshit, and carbon emissions – for the benefit of current residents. 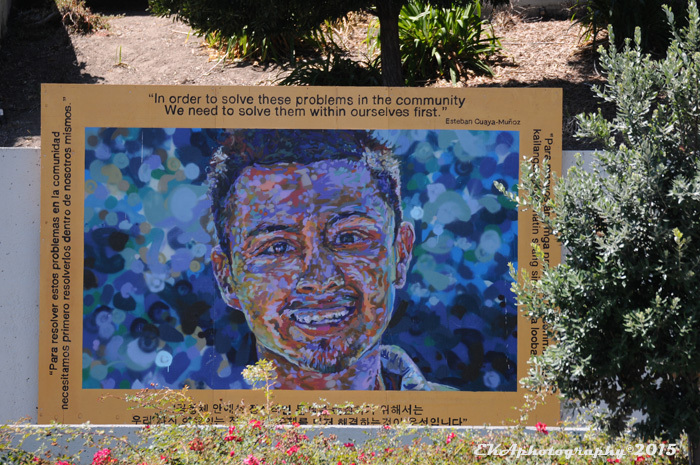 Ramos’ death, sensationalized by the media, has catalyzed the mural project – the third in a series developed by non-profit Attitudinal Healing Connection. I hesitate to use the word martyr, but there’s been a tremendous outpouring of love for the fallen 27-year old artist, from candles, flowers, and altars which cover almost the entire 200 feet of sidewalk at the mural site, to a tribute piece painted in his honor by his art teacher Eric Norberg, to a renewed dedication to the mural’s mission by the surviving artists. 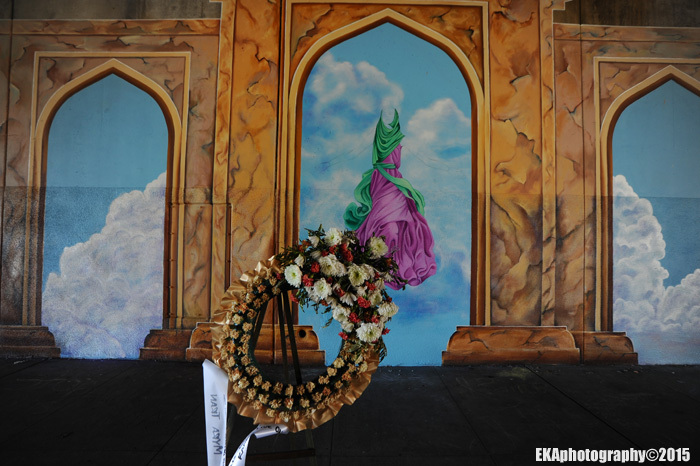 Even before the mural has been completed, the effect is tangible: a once foreboding piece of turf is now a sanctified, hallowed ground. It’s as if Ramos was a blood sacrifice to the gods. That’s a hard price to pay, but one which will hopefully bring more peace and less violence. 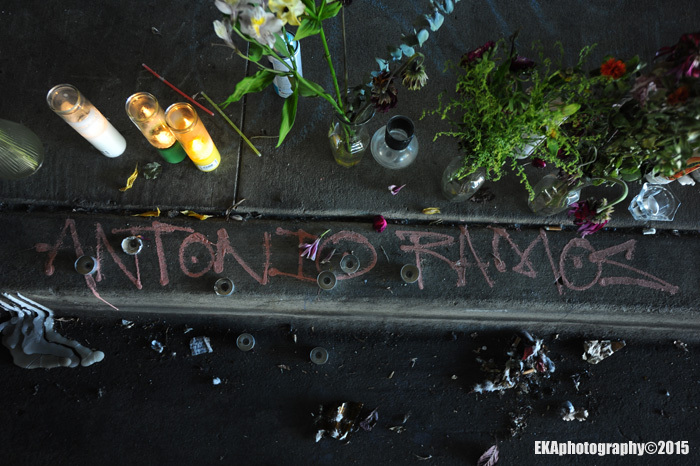 Antonio Ramos didn’t die because Oakland isn’t being gentrified fast enough; he died because systemic inequity and internalized oppression among people at risk of displacement — on top of income gap, on top of daily pollution exposure, on top of police misconduct, etc., etc., — have degraded respect for life. As Project Director Dave Burke said, “that’s America” – not just Oakland. The answer for Oakland isn’t more gentrification, although that seems fairly inevitable. 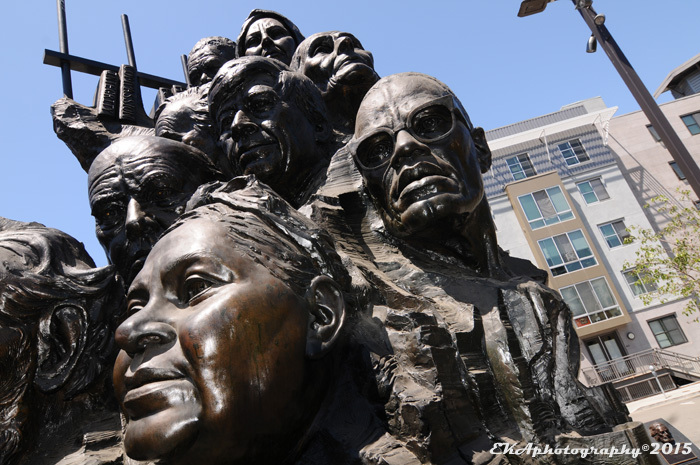 The answer for Oakland is more art and culture which reflects, respects, and engages the community, celebrates diversity, and improves the quality of life in parts of town where cold-blooded murder can happen as quick as a furtive glance. Speaking of life, there was plenty of it, in abundance, at this year’s Life Is Living Festival. Although there was some talk of the repercussions of not having a big headliners as in years past, that didn’t matter at all. Essentially, no one cared, because big headliners aren’t what people go to the festival for; the main reason to attend LIL is to be immersed in community and culture. That was well-evident last Saturday. In the space of just a few hours, Oakulture experienced an African drum and dance circle; an amazing group of young Haitian musicians playing original compositions; an eye-popping demonstration of turf dancing; powerful sangin’ sistahs; equally powerful youthful spoken-word sheroes; Town Park youths perfecting ollie grinds; and a streetful of people filling up the asphalt of 18th Street, dancing joyously to a baile funk DJ as the sunset glowed with iridescent hues of orange and red. To even go there, one has to ignore all the disturbing reports, not just of racial profiling by police, but of noise complaints against black churches, the non-profit-friendly Humanist Hall, and the Malonga Center—home to Oakland’s Afro-Diasporic dance and drum community—as well as the closure of the Burrito Shop on Lakeside and the Rock Paper Scissors collective on Telegraph, and reports that Uber’s relocation to the Sears building will accelerate gentrification even more. As Oakulture previously noted, Oakland’s recent percent for art ordinance was hit with a lawsuit by developers before it could commission even one work, and a proposal for an arts-friendly project on the Henry J. Kaiser Auditorium site was rejected by the City Council. Since then, more ominous news on the development front has come from the announcement of the Downtown Oakland Specific Plan and a SPUR report on the area — which specifically mentioned art in just one of 30 recommendations. All of these are signs of the times, and if you connect the dots, it’s clear that what mainstream media calls a “gentrification boom” clearly means displacement for the have-nots. But Samba Funk isn’t having that. Not without a fight. And by fight, they mean, drums, lots of them. And dancers. The rally at the lake followed a successful action on the steps of Frank Ogawa plaza, within earshot of City Hall, which was followed dutifully by a TV news crew. 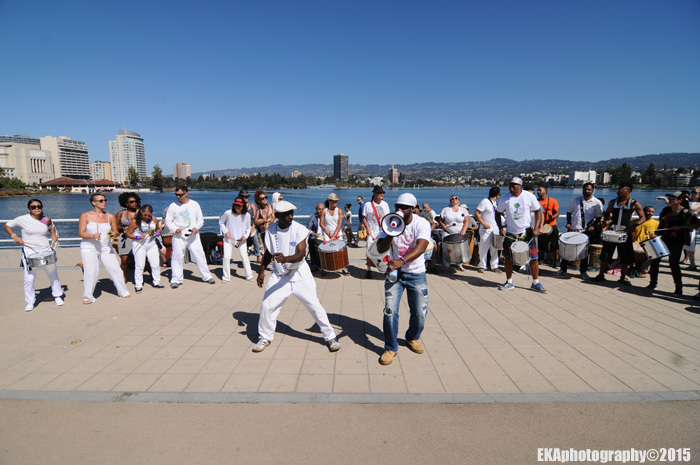 Samba Funk Artistic Director Theo Williams later spoke up at the City Council meeting; the vibrant drumming from outside the building was clearly audible as he testified about the original incident. 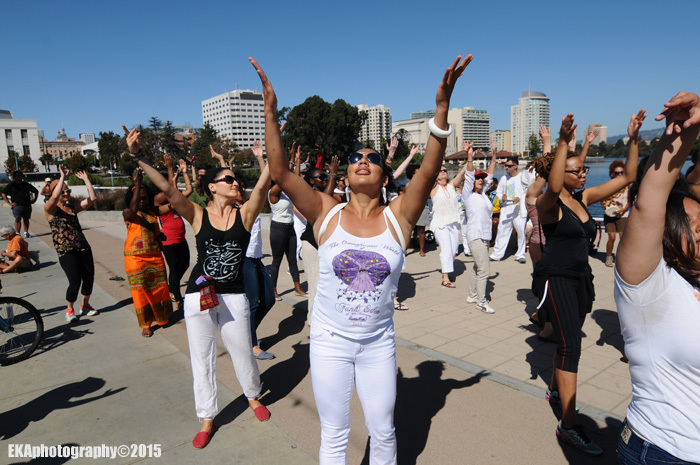 The momentum generated by the action coalesced into the “#SoulofOakland movement, whose first action was Sunday’s rally at the Lake. In the course of two incredibly full hours, participants were treated to First Nation drummers Manny Lieras and George Galvis doing indigenous songs of resistance, Korean drummers Ieumsae playing traditional instruments in the Poongmul style (a folk art associated with working class people and social justice), a Puerto Rican Bomba troupe led by Shefali Shah complete with long-skirted dancers, Haitian troupe Rara Tou Limen led by master drummer Daniel Brevil, and a Brazilian outfit. It was a bit cute, light-hearted even, to see signs on people’s backs announcing “More Drumming, Less Gentrifying.” But there were serious undertones to the entire event. 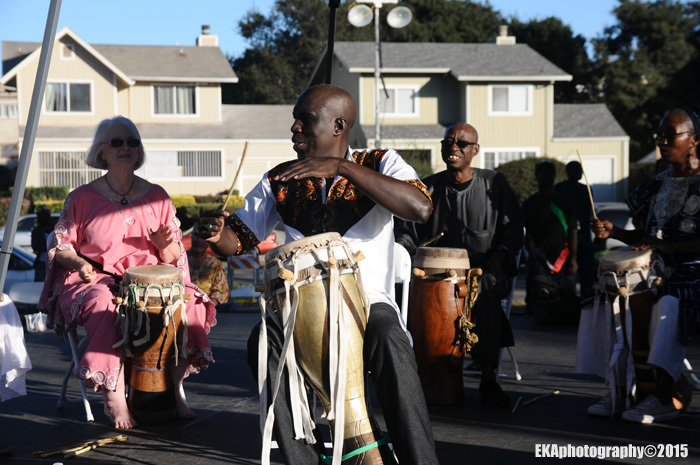 Cultural resilience is embedded into every beat of ethnic drums, and to experience a world-class exhibition of cultural diversity which was so much more than a drum circle – really, it was an anti-displacement ritual, and all that embodies – had a resonant impact. To hear tales of the Haitian defeat of Napoleon along with stories of the Ohlone village of Huichin gave a certain perspective which put gentrification, displacement, and cultural resistance in a historical context. 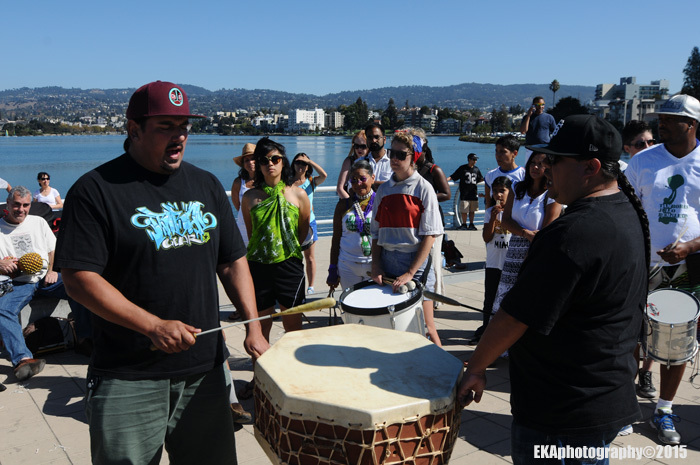 Councilmembers Desley Brooks and Abel Guillen professed support for the cause, but microphone pontification was kept at a bare minimum, and; instead of long-winded speeches, the focus was on building and engaging community through drumming and dancing. 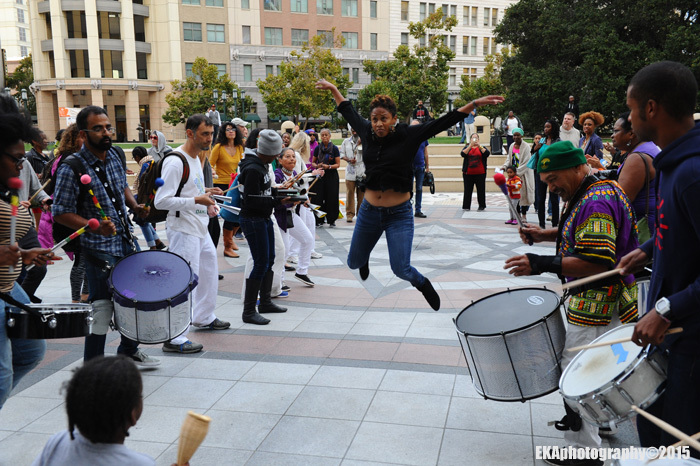 “This is what makes Oakland great. 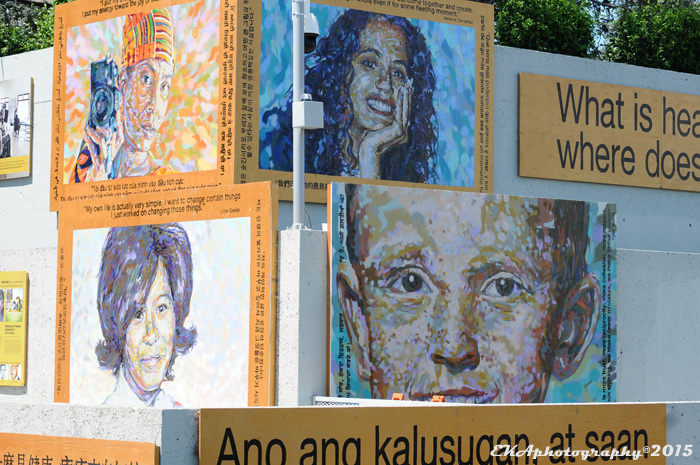 It’s our culture and our arts,” said Guillen, who reaffirmed his intention to reinstate the city’s now-defunct Cultural Arts Commission. By the end of the day, nearly all of the audience had joined the dance section; off to the side, the percussion contingent, most wearing white, supplied the music as the dancers supplied the movement. If Williams had wanted to emphasize that cultural diversity and rhythmic expression are indeed the soul of Oakland, he succeeded. 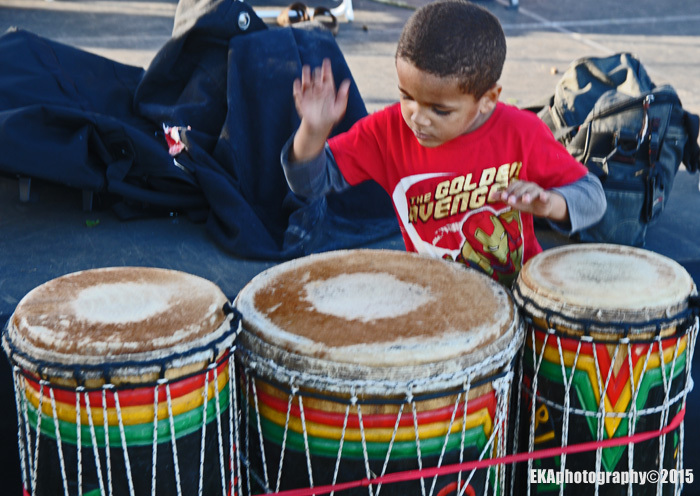 This was a mini ethnic dance and drumming festival, in a public space, which engaged community in interactive, inclusive activities and championed an inspired cause. All one needed to participate were a percussion instrument and/or your two feet. 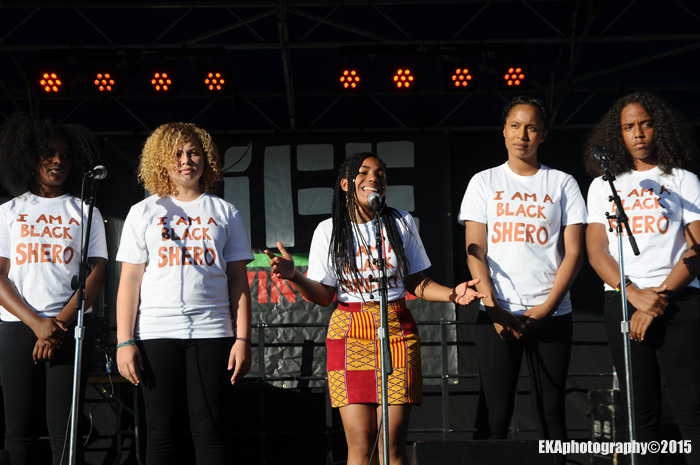 Categories: Activism, Artivism, Community Issues | Tags: #SoulOfOakland, Abel Guillen, Attitudinal Healing Connection, Davey-D, drumming, Gentrification, Ieumsae, Lake Merritt Amphitheater, Life Is Living, Manny Lieras, Poongmul, Rara Tou Limen, SambaFunk, Shefali Shah, Theo Williams | Permalink. 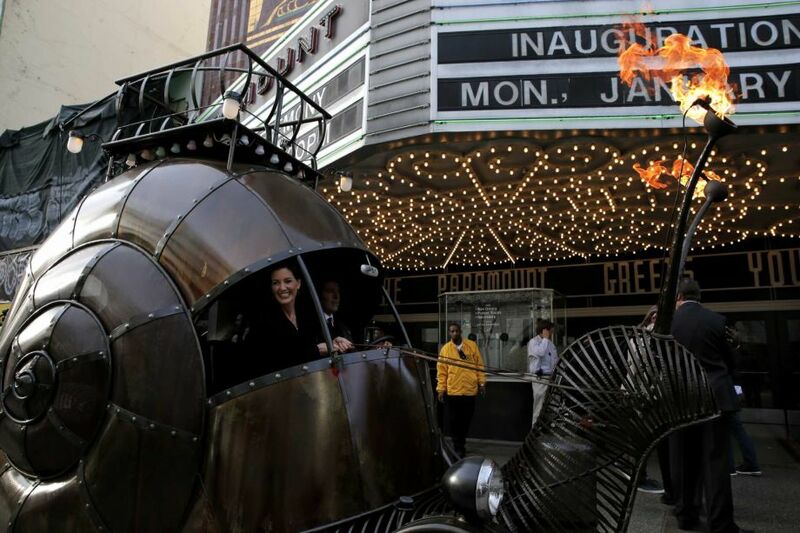 Last January, when Mayor Schaaf proudly preened in a Burning Man-style art car during her inauguration, hopes were high that art would become a priority. After all, Oakland’s much-ballyhooed cultural renaissance had brought national and even international attention to the city, completely remaking an image once invariably linked to crime and blight. Two weeks ago, the news from the arts scene was that the Rock Paper Scissors Collective was looking for a new home after it was informed its rent would be rising. Last week, even more portentousness appeared: First Humanist Hall—supporter of underground film festivals, non-profit organizations, and community gatherings—was declared a nuisance due to noise complaints from new neighbors. Then the City Council chose developer Orton for the Henry J Kaiser space over a competing proposal from a group including longtime arts supporter Randolph Belle, which was focused around community benefits (including a workforce development plan, in conjunction with Laney College). Instead of a mid-size arena, hotel, and convention center, the space is now expected to hold tech offices and a brewery. But that’s not all: Last Thursday, the Building Industry Association of the Bay Area (BIA) announced it had filed a federal civil rights lawsuit against the city, alleging the percent for public art requirement, which took effect this past February, violated the First and Fifth Amendments. 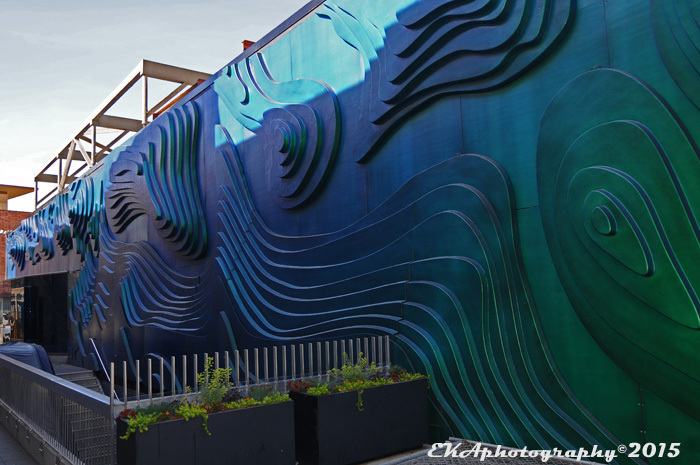 In a press release, the Pacific Legal Foundation’s Tony Francois claimed the ordinance “harms the public interest,” although it’s unclear how public art, which is by definition beneficial to the community, could be detrimental. BIA’s Executive Officer Bob Glover called the ordinance “irresponsible” and claimed it would further drive up the cost of housing, even though the majority of the development projects in Oakland’s pipeline have no affordable housing component. Ironically, news of the lawsuit came just one day after San Francisco announced it was committing $50 million to public art on Treasure Island, an initiative funded in part by SF’s own percent for art ordinance. Besides SF, similar percent for art requirements exist in several nearby cities, including Emeryville, Richmond, San Jose, Walnut Creek, Santa Rosa, Sunnyvale, El Cerrito, and San Mateo. Nationwide, percent for art programs exist in 27 states and territories, including Oregon, Louisiana, Connecticut, Iowa, Washington, D.C., Maine, New Mexico, Rhode Island, Vermont, Alaska, Maine, Utah, Montana, South Carolina, and Guam. Considering the proliferation of such programs, the lawsuit would seem to have little legal merit. However, it can be viewed as a clear message from developers to elected officials that they run the city, and not the other way around. As if that wasn’t enough, word is that Steven Huss, Oakland’s Cultural Arts Manager, has resigned to take a less-contentious, better-funded position in Walnut Creek – leaving the fate of an NEA grant to develop an Arts Master Plan for Oakland up in the air. 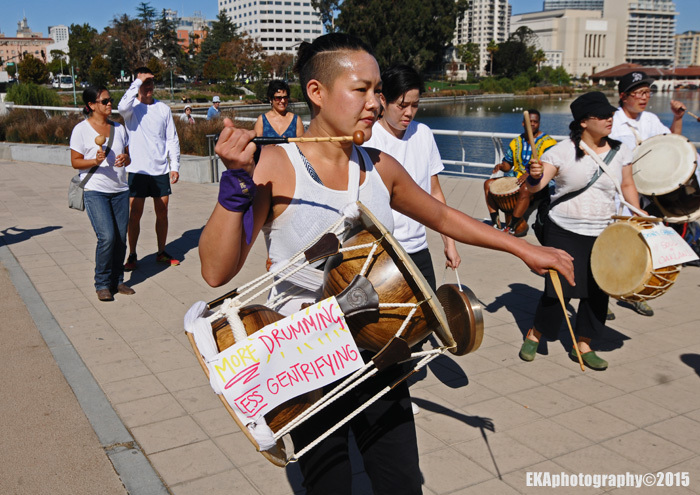 The cumulative impact of all these developments could strike a crushing blow to Oakland’s cultural arts community, confirming its worst fears about gentrification and displacement and creating a leadership void at the already short-staffed Cultural Arts Department. There’s also a leadership void at the city-funded ProArts gallery, after the forced resignation of Executive Director Margo Dunlap, so Huss’s departure adds more chaos and uncertainty to a muddled situation. 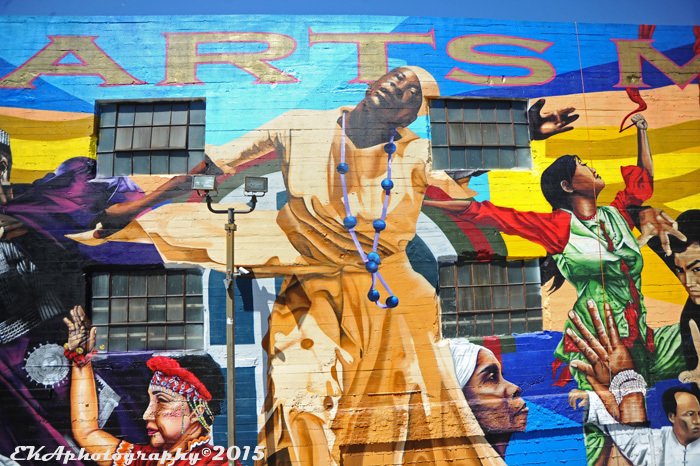 In a 2010 interview posted on the NEA’s website, Huss noted that the arts sector generated $100 million annually for Oakland—a figure which has undoubtedly grown over the past five years—and its overall importance as a “magnet” for economic development. 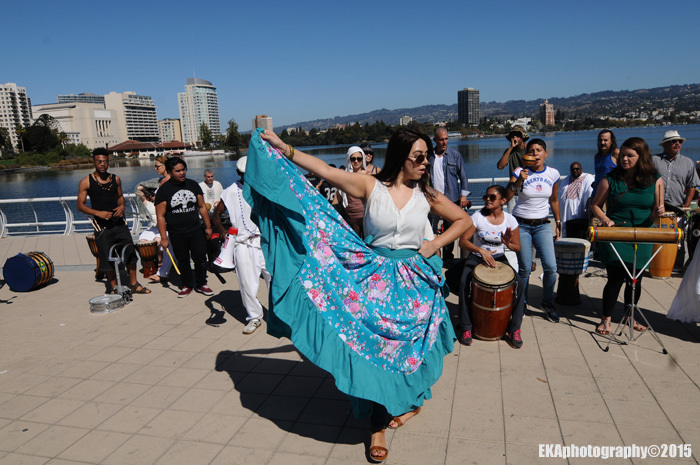 In truth, Oakland’s civic commitment to arts and culture has been anything but robust for years, while diversity has been the first casualty of a rapidly-shifting demographic. The Cultural Arts fund’s annual budget—slashed in the wake of the recession—is less than the amount Public Works spends on abating tag vandalism, and the loss of the redevelopment agency in 2012 eliminated a key funding source for the city’s public artists. As reported by Bay Area News Group, only a smidgen of the $400,000 approved by the City Council in 2013 for anti-blight murals has been allocated over a two and one-half year period. 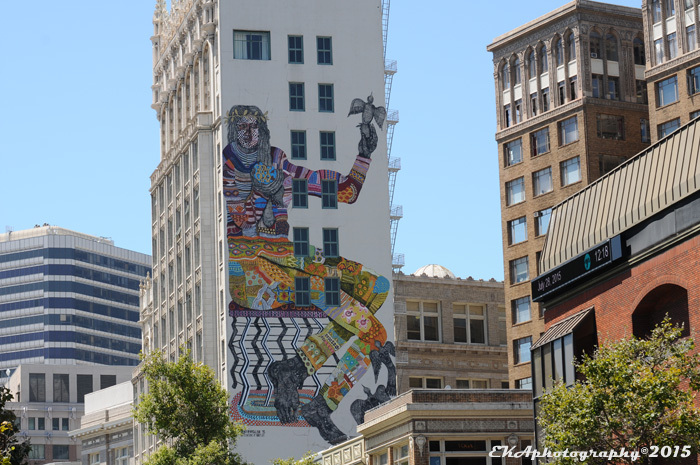 The few murals which have been produced via this fund have all but eliminated tagging and blight recidivism, yet some Councilmembers have yet to issue RFPs, even as Public Works spending on abatement has increased 50%, according to KQED. 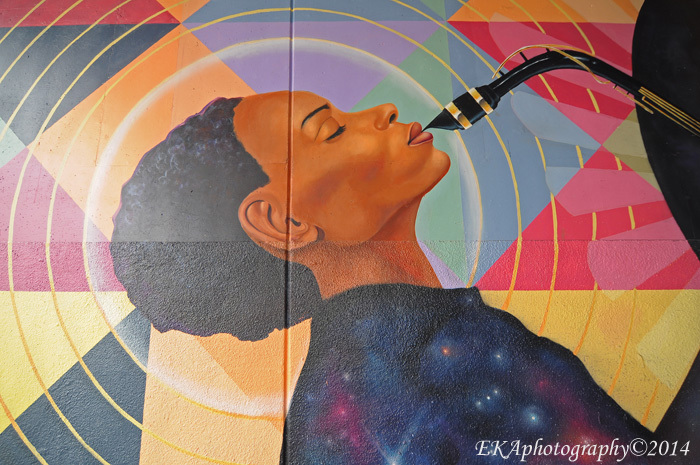 Furthermore, city staffers have reportedly lagged in returning calls about mural fund applications, refused to pay artists on time and/or made them jump through unnecessary bureaucratic hoops, even after murals have been completed. The City Attorney’s office has also reportedly inserted new clauses into artist contracts which require them to give up federal protections known as VARA rights, with no explanation for the policy change. The City Council’s decision to go with Orton over Belle’s group likely means the end of the line for the Kaiser auditorium, a historic venue which hosted concerts by everyone from Elvis Presley to the Grateful Dead to Bob Marley and the Wailers to Public Enemy and NWA, and reportedly was the site of a historic 1962 speech by Dr. Martin Luther King, Jr., which inspired Black Panther Party co-founder Bobby Seale. The apparent loss of a potentially-reactivated HJK arena robs the city of a mid-sized venue whose prospective owners had a commitment to the cultural community which cannot be said of the operators of the Fox Theater – you can count on one hand the number of shows per year there featuring local artists. And the displacement of RPS, the last remaining original founding member of the Art Murmur— an organically-developed event which saved former Mayor Jerry Brown’s 10K plan from failure and made Oakland buzzworthy after years of second-tier status—seems more than symbolic. “I’m still reeling, wondering how a city doesn’t do everything possible to support education and jobs for low-income communities of color,” said Belle in a Facebook post after the City Council vote on the HJK property. “But then [I] realize it’s the sign of the times,” he added. While the communities Belle mentions can certainly benefit from investment in the cultural arts, the gentrification wave is impacting everyone across the board – including artists of all ethnicities and anyone not at the upper tier of income levels. 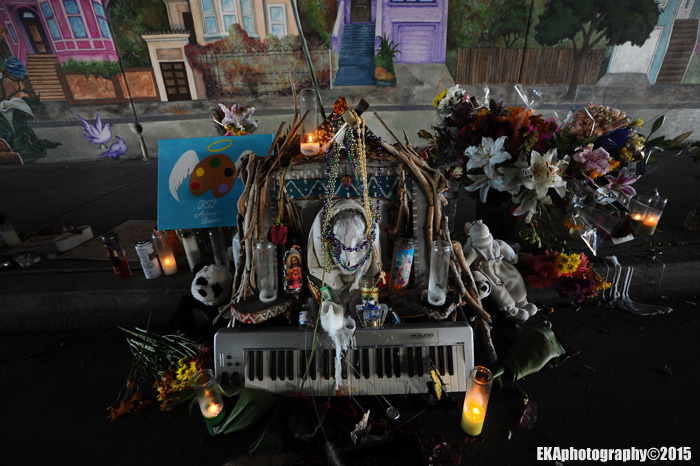 On the surface, economic growth might seem like a positive thing for Oakland; however, the boom—mainly confined to real estate and tech—has been a calamity for the arts scene. 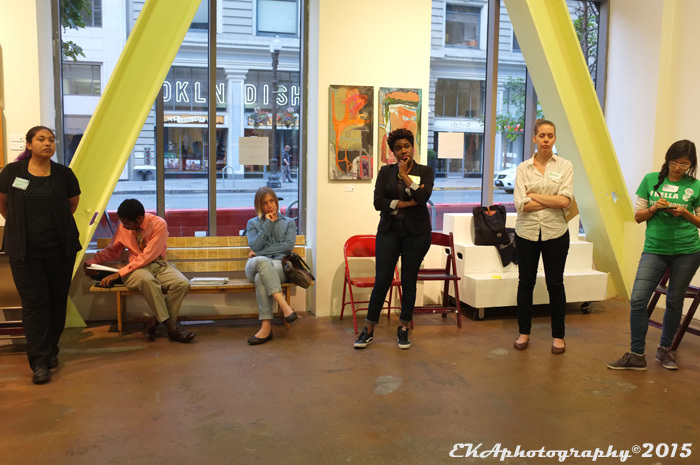 A few months ago, at a city-convened arts stakeholder meeting , arts advocates speculated on the irony of Oakland’s artists making the city cool, only to find themselves priced out. Although some advocates felt the percent for art requirement didn’t go far enough, it at least offered a glimmer of hope for the city’s artists. But the announcement of the lawsuit by developers could delay or even rescind any commissions under the ordinance, and casts a pall on any future attempts to redistribute the wealth flowing into the city among the creative community. It seems cruel to blame a newly-minted public art ordinance for the increased cost of housing, considering that last year, before the ordinance went into effect, Oakland apartments had the highest rental price hikes in the entire nation, while overall rental prices were the second fastest-rising in the country, and have ballooned as much as 300% over a three-year period. The one positive amidst all this bad news is that the San Francisco Foundation recently announced it was giving East Side Arts Collective $1 million to buy its building, ensuring many more years of community-oriented programming in the San Antonio district. Yet as welcome as that news is, it does nothing to help the arts community elsewhere in the city. 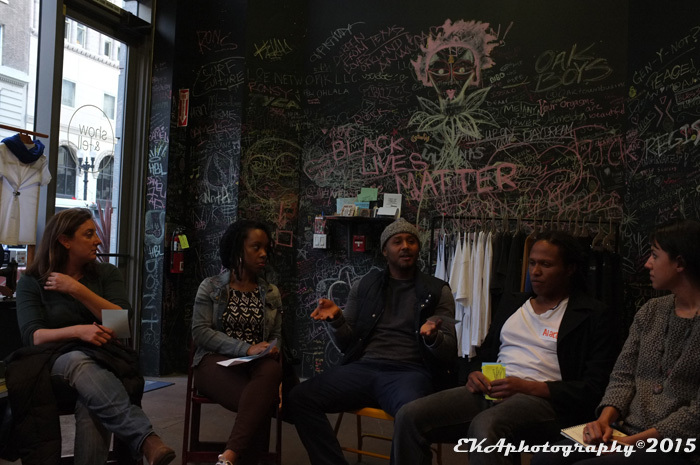 If ever there was a time to organize Oakland’s creative arts community, this is it. 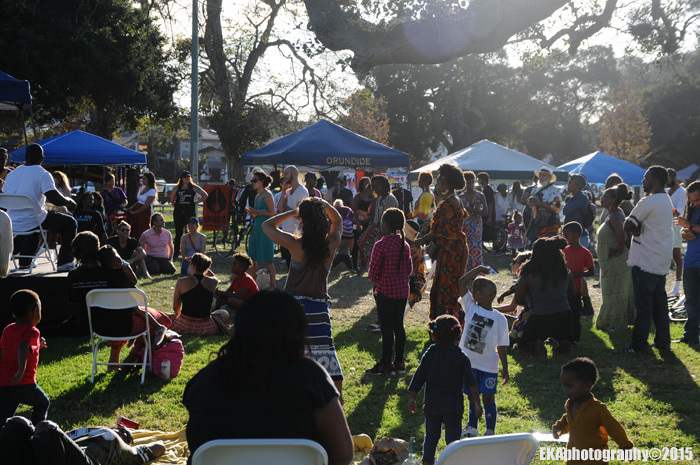 For the past several months, the Oakland Creative Neighborhoods Coalition has been attempting to do just that. Founded by Betti Ono’s Barber—recently named one of the Bay Area’s Top Ten Art Personalities—and artist, teacher, and arts administrator Katherin Canton, OCNC has coined the hashtag #KeepOaklandCreative and holds organizational meetings to try to rally the city’s culture creators around a policy platform which aims to make a sustainable future for artists, by taking a proactive stance against displacement. (Disclosure: Oakulture Editorial Director Eric Arnold is a member of OCNC’s Steering Committee.) OCNC’s stated goal is to get the city to restore the Cultural Arts Commission (CAC)—another casualty of the recession—a necessary first step in developing greater accountability at the civic level for the arts community. A revised CAC could bring clarity to a confusing, labyrinthine process for artists trying to work with the city. 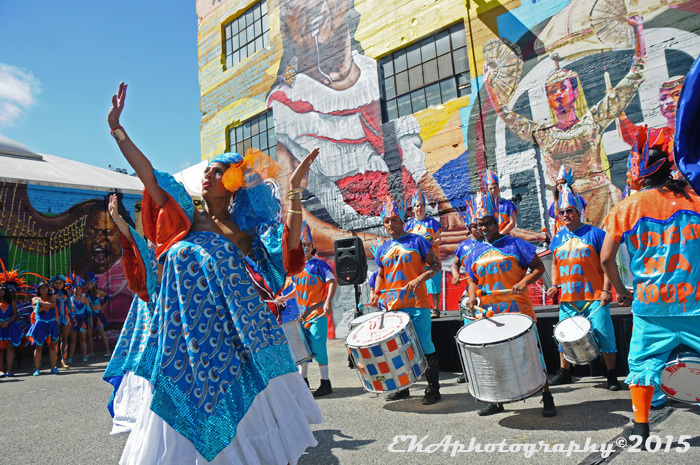 Currently, Oakland’s Cultural Arts Program is under the Economic Development and Marketing department, and its small staff is assisted by an all-volunteer Public Art Advisory Committee. There’s no designated liaison with Parks and Rec (which operates city facilities such as the Malonga Casquelourd Center) or City Council (artists are generally left to facilitate discussions over such things as applying for the anti-blight mural program on their own); almost all direct interaction with the artist community, other than open forum sessions at monthly meetings to review public art projects, is carried out by the department’s one full-time staffer, Denise Pate. Navigating the system is a bureaucratic nightmare at best, compounded by the fact that artists sometimes have to wait up to a year before being compensated for completed projects. In the case of the percent for art ordinance, the artist community at-large was not asked for input in its drafting, perhaps by design; in the Tribune article, Schaff describes the ordinance as “pro-developer” – a notion which was reinforced during a “stakeholder meeting” also attended by members of the development community and Emeryville city staff this past February. At the meeting, stakeholders were asked for suggestions for implementation, yet that seems to have been just a formality. When community concerns were brought up, Schaff’s staff hastily shot them down. 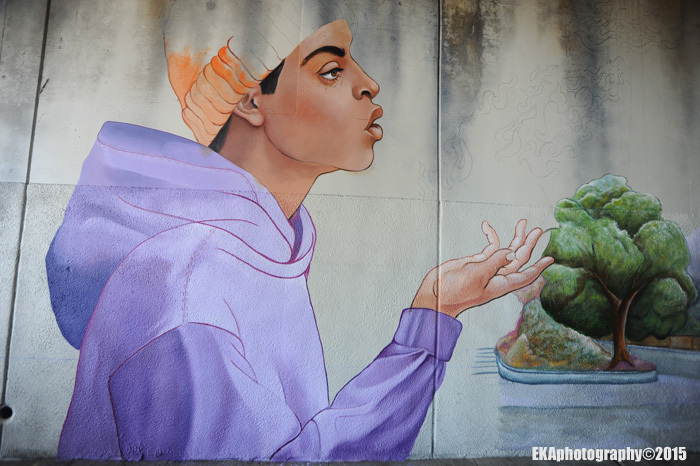 There was no review of public art programs in cities other than Emeryville, and the developers—only one of which was based in Oakland—didn’t exactly warm to the idea of having any type of community review or oversight of proposed art projects. Developers, their representative said, don’t like to be told what to do, a statement which now seems ominous in the wake of the BIA lawsuit. In other words, this isn’t just about art for art’s sake, but leveraging the power of creativity for the greater benefit of the community. That’s a good thing – unless one buys the argument that promoting art is somehow harmful to the public interest. 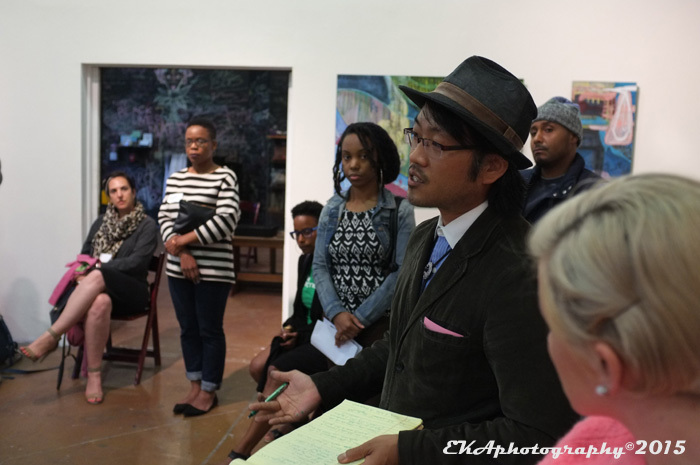 Meeting #2 of the Oakland Creative Neighborhoods Coalition will be held at Betti Ono Gallery on Wednesday, July 29th at 6:30pm. Betti Ono is located at 1427 Broadway in downtown Oakland. Categories: Activism, Art review, Artivism, Community Issues | Tags: Anyka Barber, Betti Ono, Brett Cook, Building Industry Association of the Bay Area, Development, Displacement, Gentrification, Henry J Kaiser Auditorium, Libby Schaff, Oakland Creative Neighborhoods Coalition, Percent For Art, Public Art, Randolph Belle, Rock Paper Scissors, Steve Huss | Permalink.